Deals 2 Good 2 Pass! Recent Arrival! What a great little car! With Audi MMI Navigation High Control Panel,Bluetooth, quattro, Leather, 3-Step Heated Front Seats, Audi Music Interface w/iPod Integration, Cold Weather Package, Heated Side Mirrors, Power moonroof, Premium Plus Package, Wheels: 8.0J x 18" 10-Spoke-Audi-Exclusive. This is a perfect car for almost any occasion! CARFAX One-Owner. Clean CARFAX. 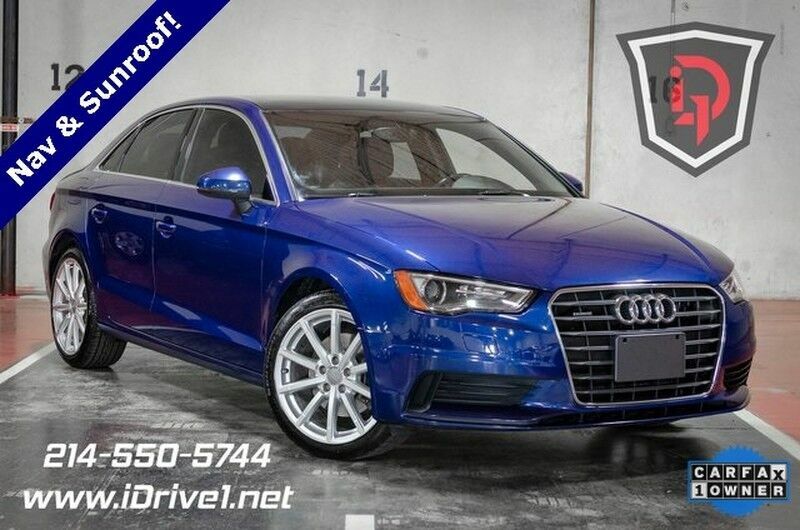 2.0L 4-Cylinder TFSI quattro 6-Speed S tronic Automatic We have financing options for everyone! Call for vehicle details and availability. Showroom: 214.550.5744. 24/33 City/Highway MPG IDrive1. You should 2!